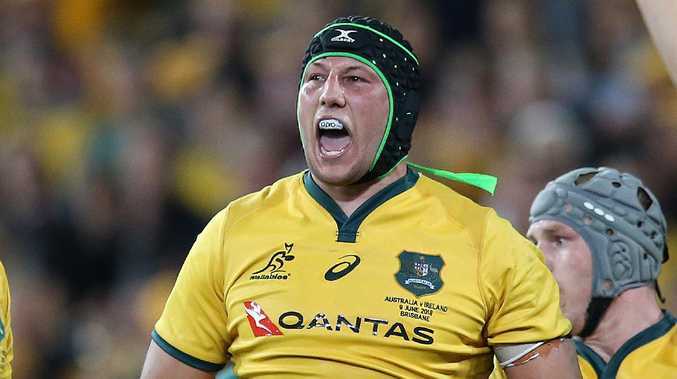 NO one has ever questioned the hardiness of Adam Coleman on a rugby field - but just how tough the Test lock is was yet to fully come to light. It was only a few weeks ago that there were genuine concerns over the form of Coleman - one of the first picked in Michael Cheika's Wallabies side since debuting in 2016 against England - leading into one of the biggest series for Australian rugby in recent memory against the Irish. Many put his indifferent form down to the pressures of the captaincy after being given the leadership responsibilities at the Melbourne Rebels by coach Dave Wessels. There were murmurs, too, that the hard-hitting lock forward was carrying an injury, and his early exit against the Bulls in Pretoria back in April did little to ease those fears after he also missed their match against the Brumbies in March because of "sternum soreness". But little did we know that the 26-year-old had had to rely on local anaesthetics for the best part of two months to get him through each match after cracking his sternum during the Rebels' second match of the season against the Sunwolves in Tokyo way back in March. Adam Coleman with Wallabies teammate Lukhan Tui. "I cracked my sternum, again, so I wasn't playing at a 100 per cent," Coleman said on Tuesday. "You're never (playing) at a 100 per cent. "I cracked it last year during the Rugby Championship and played through it. 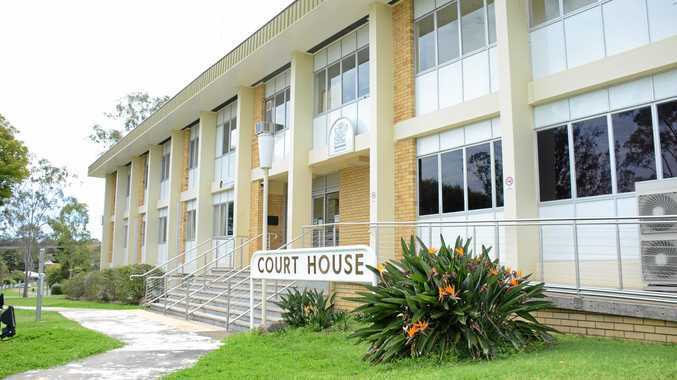 "I had a number of local anaesthetics. "And then this year I probably played six weeks with another cracked sternum. "So I'd been injecting that for a little bit. "It was definitely a frustrating time in my career because trying to play with an injury is definitely tough. "A lot of people play with worse injuries than that. I was just trying to put my best foot forward for the team. "It's something that I'll always do for whatever team I'm playing for; to put my body on the line and that's something that I pride myself on." 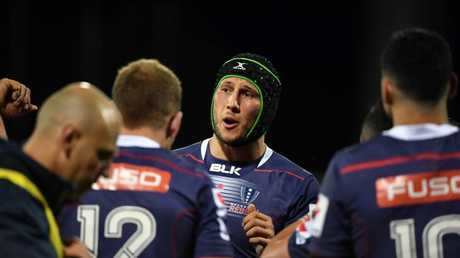 Adam Coleman speaks to his Rebels teammates. At the same time as his lingering injury frustrations, Coleman admits he was also working through a number of new challenges. "There was a lot of new things in my life," Coleman said. "I moved to a new environment. It was the first time living with my partner, being captain of the Super Rugby team, I've got a little one on the way as well, so there were a lot of new things in my life. "I knew that all I wanted to do was play the best I could for the Rebels and it was almost just learning on the run as a skipper. "I've been a part of leadership group with the Wallabies and the Western Force for the last three years but when it's actually you being the captain, giving the messages, It's a whole new experience. "At the start it was fine, but I really felt like when you start losing games that's when the focus, I suppose, you feel there's a lot more on your shoulders when there might not actually be. "You can overthink a lot of situations. "I've been growing as a person, as a leader and as a player in all areas of my life, but I feel like I'm in a good place at the moment. "Coming through the other side of that, having the bye round in the middle of May and then rolling into the next two games I really felt like I could just get my body right. "Over the last two games of Super Rugby, I really felt like my body's just starting to get into gear and I was just getting a lot of minutes under my belt." Indeed, it should come, therefore, as no surprise then that the return of Coleman to full fitness saw his form improve almost overnight. The Rebels, too, benefited as they put behind them a run of five consecutive losses to head into the June international break on the back of three straight wins. 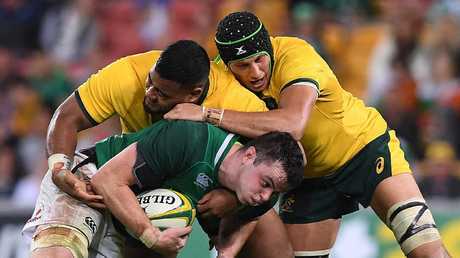 James Ryan of Ireland is tackled by Taniela Tupou (left) and Adam Coleman of the Wallabies. The full value of a fit, healthy and focused Coleman was on show on Saturday against Ireland in Brisbane as the Wallabies took down the world No 2 nation 18-9. His bruising hits in defence and surging runs set the tone for what Ireland captain Peter O'Mahoney - a man who captained the British and Irish Lions in their first Test against the All Blacks last year at Eden Park - described as one of the fastest and most physical matches he'd been involved in. While Coleman humbly said he was just "doing his job" during the first Test, his physicality and no-nonsense attitude is why Cheika has started the second-rower in 20 of his 21 Tests to date. Curiously, however, Coleman was largely an observer at "Test match Tuesday" at Olympic Park Oval next to AAMI Park - the venue for Saturday's second Test - as his teammates ripped in during their biggest hit-out during the week. Instead, he was forced to turn the wheel on the bike on the sideline and spend time boxing, as his teammates were put through their paces. But Coleman played down any chance of missing the match declaring "he's good to go." The key for backing up last week's rousing performance? 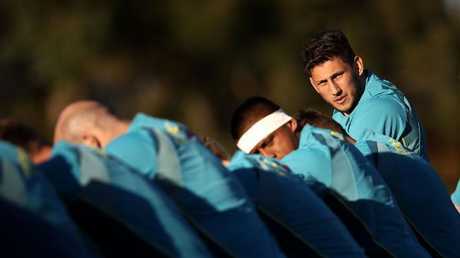 Adam Coleman looks on during a Wallabies training session. "For us, it's making sure that our preparation this week is solid, and then we can just go out there and not really think too much about the end result," Coleman said. "If we do that, it just comes naturally because we've done it so often and frequently at training that it becomes normal now. "We've got Test match Tuesday today, so the boys will rip in and do some good contact which will make sure that what we transfer those habits from training onto the field. "We all recognise that we have to go another level this week. "We know that Ireland didn't come here for nothing, they've come here to take the series out. "They haven't travelled from the northern hemisphere to the southern hemisphere for nothing, so I think they're going to be a different beast this weekend. "I'm sure they'll make some changes, but our boys are up for it and I can't wait to play again on Australian soil."